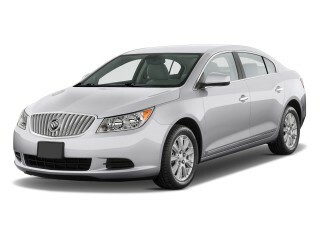 The 2012 Buick LaCrosse is about the same size as the Impala--and roughly the same price, at the base level--yet it gets EPA highway ratings of up to 37 mpg. The 2012 Impala has a dated design and lacks excitement, but a stronger, smoother powertrain should make its simple layout and excellent interior space more palatable. Up until this model year, the Chevrolet Impala felt in some ways like it was operating in a time warp. 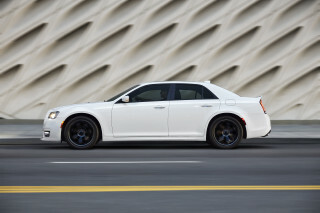 Chevy's largest sedan hadn't seen significant design or styling upgrades in years; GM hadn't kept its interior updated with modern tech extras or nav systems; and its powertrains--pushrod V-6s and four-speed automatics--were more than a little behind the times. But this year, GM is giving the 2012 Chevrolet Impala a very significant upgrade: a 300-horsepower, 3.6-liter V-6 (that's right, the overhead-cam one) and a six-speed automatic transmission. 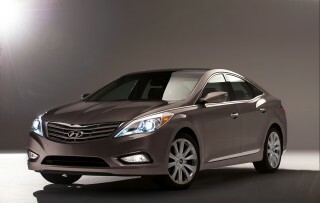 While we haven't yet driven the 2012 Impala, we expect performance and responsiveness to be much-improved. Unfortunately, not much else has changed about the Impala--which might to some shoppers make this feel like an effort of, too little, too late. Chevy's big front-wheel-drive sedan looks bland from the outside (GM has added a new grille and dual exhaust for 2012), and inside, the plain, plasticky dash isn't any better--a reminder of how the company's interiors used to be, before the much more stylish Malibu and Cruze hit the market. The Impala's plentiful interior space and huge trunk are hard to argue with, but the front seats are wide, flat, soft, and springy, in the way that seats used to be--good for Interstate drives but not corners. Most models get folding rear seats that bring out impressive cargo versatility. All Impala models include Bluetooth hands-free connectivity, plus satellite radio, steering-wheel controls, a trip computer, and keyless entry. That's basically a feature set designed to make fleets happy (they're still a big portion of Impala customers). You can get things like Bose sound, remote start, fancier wheels, leather seats, and dual-zone climate control in upper trims, but you won't find a USB port or iPod interface, let alone a navigation system or media hub. 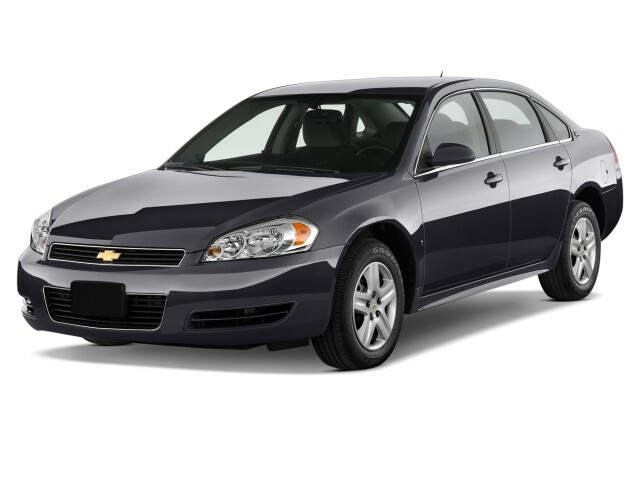 The 2012 Chevrolet Impala could quite easily be mistaken for a used car. 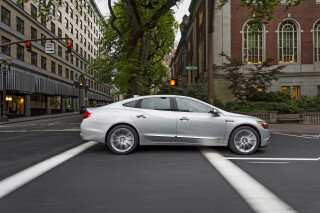 The 2012 Chevrolet Impala won't turn heads, but it won't offend either. And stylistically, it's about as far from fresh and contemporary you can get and still have a new car. On the outside, the Impala looks, quite honestly, like a used car. GM has changed so little about the the Impala in recent years that even though the design isn't at all offensive, it's just plain boring and makes even the likes of the Toyota Avalon feel edgy. 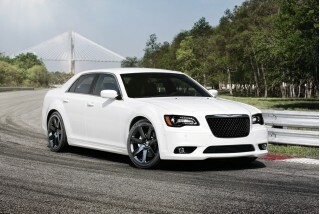 And compounding that impression is that it's been a bland, rental-car mainstay for years. For 2012, the Impala gets a slightly different grille that helps it fit in with the rest of the Chevrolet car lineup, while all models get a dual exhaust. Arguably, the Impala's only strengths from the outside, rest in the details, including the generous headlights that sweep back along the sides of the hood. But whatever positive impression the Impala makes from head-on or tail-on is likely to be brought down by its absolutely slab-sided flanks. Likewise, the interior of the Impala hasn't changed significantly in many years, but it doesn't look quite as instantly obsolete as the exterior--at least at a few paces back. Again for 2012 GM has spruced up the look of it with new woodgrain trims and a new two-tone 'Neutral' interior combination. That's in the higher trims; in base LS trims it's drab and dull. The gauges and controls are quite clearly laid out and nothing is off-putting, but there's a utilitarian feel to the cabin that overwhelms its functional layout. An all-new powertrain should give this cushy cruiser more punch--and a more refined feel. While the rest of the 2012 Chevrolet Impala package hasn't been substantially upgraded in years, GM decided to install one of its best, most refined powertrains into this large sedan: its 3.6-liter V-6 and six-speed automatic transmission. In the Impala, the engine makes 300 horsepower and 262 pound-feet of torque, and it runs fine on regular unleaded. While we haven't driven the Impala yet with the new powertrain, in other models we've found this engine to be far smoother than the pushrod V-6 engines that precede it. 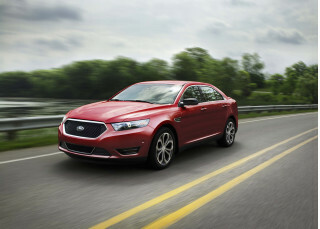 And thanks to the wider gear span of the six-speed, real-world acceleration and passing should be stronger. It's likely the Impala rides and handles pretty much as before--which is to say very well damped, with a plush ride and lots of body roll on tap to serve as a reminder not to make hasty changes in direction. While LT and LTZ models come with a somewhat firmer Touring calibration, the Impala remains a cushy highway cruiser more than anything else. The Impala has a very roomy interior, but in some respects it feels more commercial-grade than retail-grade. The 2012 Chevrolet Impala has a roomy interior, with plenty of space for people and cargo; but shoppers who are comparing the Impala to other rivals should be aware that it's an older design and hasn't been kept up-to-date in some respects. Seating is one of those deficiencies. The Impala does offer plenty of interior room, along with a generally quiet interior, but the front seats are of the wide, flat variety, with no side bolstering and a mushy, springy feel. And while headroom and shoulder room are plentiful, there's not as much leg room inside as you might find in the Toyota Avalon or the Hyundai Azera. It's the same story in the back seat of the Impala, though the back bench is one of the lower ones in its market segment; that means taller adults might fit quite well, but kids could feel a little claustrophobic. Impala LT and LTZ models come with folding rear seats that open up the trunk to the cabin. The trunk is already one of the larger ones in this class, at 18.6 cubic feet, though the trunklid cut-out steals a little space. Overall, the Impala's cabin is quiet and refined, but it's a halfhearted attempt in the details, straddling the line between commercial-grade and retail-grade. There's a simple, straight-across dash, unimpressive upholsteries, and somewhat drab look to it all--although Chevy has upgraded the faux-woodgrain trim and added a leather-wrapped steering wheel and shift knob to some models. 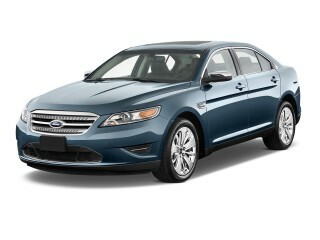 Considering its dated underpinnings, safety is surprisingly good in the 2012 Impala. Considering that the 2012 Chevrolet Impala is built on a platform that dates back about 25 years, it performs reasonably well for occupant protection. 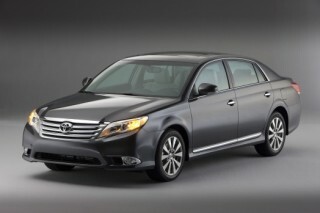 But shoppers looking for a safe, sound mid-size sedan could do a lot better. Although the Impala does have ancient underpinnings, in all fairness its structure has seen a number of substantive updates over the years, improving its stiffness and protection, and so its safety ratings are decent. The Insurance Institute for Highway Safety (IIHS) gives the Impala top 'good' ratings for frontal and side impact, but this Chevy earns only 'acceptable' for rear impact and roof strength. And in federal NCAP tests, the Impala fares quite well, with four out of five stars in both frontal and side impact. Standard features have been kept up-to-date, although it's lacking the modern active-safety options, like blind-spot systems, parking sensors, or rearview cameras, that have been trickling down to the mass market the past couple of model years. But the 2012 Impala comes with standard dual front, side and curtain airbags; anti-lock brakes, traction and stability control; and the OnStar emergency and concierge system is of course included. The 2012 Chevrolet Impala includes an impressive list of features, but there's a lot missing from it. The 2012 Chevrolet Impala is has a reasonably good feature set, but the lack of options and infotainment features limit this big sedan's appeal. Most of the basic features you'd expect to find in a rather low-priced mid-size or large sedan are here, including Bluetooth, satellite radio, steering-wheel controls, a trip computer, and keyless entry--all standard in the Impala LS. This version is sold widely to fleets, so some features like a fold-down rear seat and power side mirrors are omitted to keep cost down. Stepping up to the LT, you earn flip-and-fold rear seats, remote start, dual-zone automatic climate control, 17-inch machined aluminum wheels, and a somewhat firmer Touring suspension. The LTZ is the top-of-the-line, sporty Impala, and adds a Bose sound system, W-rated tires on 18-inch wheels, fog lamps, heated mirrors, power front seats, leather upholstery, and a garage-door opener. Otherwise, the Impala is missing a lot. USB port? Not here. Navigation? No. A sunroof? No. But the Impala does have OnStar hardware and comes with a six-month subscription to basic services (you'll have to pay a monthly fee after that). A more modern engine and transmission don't really improve the Impala's gas mileage. General Motors has installed a modern, up-to-date powertrain into its mid-size Impala for 2012, but it's not really any more fuel-efficient than last year's model. A new 300-horsepower, 3.6-liter V-6 and six-speed automatic transmission might give the Impala a more modern, refined character, but they do little or nothing for the benefit of gas mileage, surprisingly. EPA fuel economy ratings for actually go down one in the city--from 19 mpg to 18--but its highway rating rises by one, to 30 mpg. The Impala remains E85 (85 percent ethanol) compatible, although running on the fuel it gets just 13/22. Pretty nice car for the money, highway fuel economy good on highway for car of this size, lots of airbags, boring exterior looks but inside is nice.